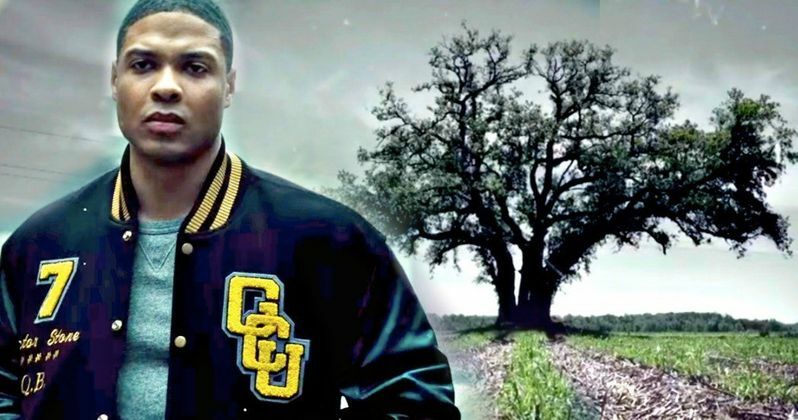 The cast of True Detective Season 3 continues to grow, with Justice League star Ray Fisher coming aboard in a series regular role. The young actor joins a cast that already includes Oscar winner Mahershala Ali as the series lead, along with Carmen Ejogo, Stephen Dorff, Scoot McNairy and Mamie Gummer. HBO has also brought on Rhys Wakefield (The Purge), Michael Greyeyes (Fear the Walking Dead) and Jon Tenney (The Closer) in recurring roles on Season 3 of HBO's anthology drama series. This new season will take place in the heart of the Ozark Mountains, with the story taking place over three separate time periods. Ray Fisher will play Freddy Burns, the son of Mahershala Ali's Wayne Burns, who is a state police detective from Northwest Arkansas. As for Rhys Wakefield, Michael Greyeyes and Jon Tenney, they will portray recurring characters Henry Hays, Brett Woodard and Alan Jones, although no further details were given about their characters. There is no indication yet as to when production may begin, or when HBO may be releasing this new season. The cast also includes Carmen Ejogo as Amelia Reardon, an Arkansas schoolteacher who has a connection to two missing children in 1980, Stephen Dorff as Roland West, an Arkansas State Investigator who, along with his partner, has his life and career influenced over three decades by a baffling crime. Mamie Gummer plays Lucy Purcell, a young mother of two at the center of a tragic crime, while Scoot McNairy plays Tom, a father who suffers a terrible loss that ties his fate to that of two state police detectives over 10 years. Much like the first two seasons, series creator Nic Pizzolatto will be writing all of this season's scripts, although with a new twist this year. For this season's fourth episode, the series creator co-writes alongside David Milch (Deadwood). The creator/executive producer has also brought on filmmaker Jeremy Saulnier to direct most of this season's episodes, although this season will also featuring the directorial debut of Nic Pizzolatto himself. Pizzolatto serves as showrunner and executive produces with Saulnier and returning executive producers Scott Stephens, Steve Golin, Bard Dorros and Richard Brown. Season 1 stars Matthew McConaughey and Woody Harrelson also executive produce with Season 1 director Cary Joji Fukunaga. While this role marks young Ray Fisher's first starring TV role, he previously made his TV debut by guest starring in a 2015 episode of The Astronaut Wives Club. The actor made headlines around the world when he was selected to play Victor Stone, a.k.a. Cyborg, in Justice League, with the actor making his feature film debut in 2016's Batman v Superman: Dawn of Justice, in a brief scene introducing his Victor Stone/Cyborg character. He is also set to star in Flashpoint and his own Cyborg movie in the DCEU, but there has been no production schedule released for either of those movies yet. Deadline broke the news of Ray Fisher's casting earlier today.